How can Sales Funnels grow your online business? You need to develop your customer relationships with an email list. What is the best way to grow an email list? Give your audience what they want and then exchange that for an email address. Then you need a funnel through which your new email subscriber will flow towards your product sale. 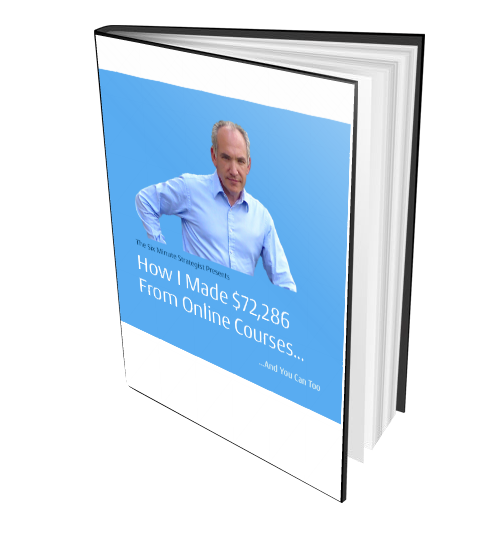 This is the key to every internet marketer’s strategy and the way every successful internet marketer makes money. So what are the essential elements of this strategy? You need somewhere for your audience to visit so that they can you can entice them to exchange their email for what ever gift you have organised for them. This is where Click Funnels comes in. Landing pages are single purposes pages where all your visitor can do is sign up for your offer. All other distractions are removed. Internet marketing paradigm. You can pay for your traffic or you can use SEO to create organic unpaid traffic. 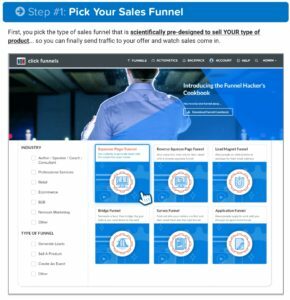 How do you create Sales Funnels with Click Funnels? The first step is to identify the type of sales funnel best suited to your product and Click Funnels has done all the hard work for you here. Secondly, select a page design that you really like. 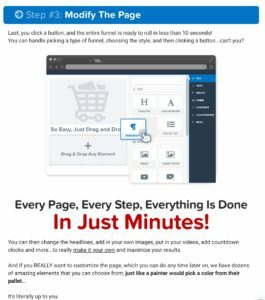 Again, these are already prepared for you so you get the look of a “designed” page without having to do all the hard work! Then “Click!” and the funnel is ready for you to customise and make your own. And its all drag and drop! So why is Click Funnels so important for Sales Funnels? Firstly this is an Internet tool by internet marketers for internet marketers. Click Funnels offers extensive integration with autoresponders, payment processors etc. And, don’t forget, the excellent referral programme. If there is one drawback to Click Funnels they do not enable unlimited traffic to be sent to your funnels but frankly, that is not going to be a problem for most of us. 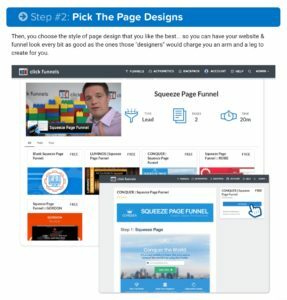 Leadpages – another Landing Page generating platform which I use and like very much – does allow you to. That having been said, you can’t create membership sites with Leadpages. Why stop when you sign up for an account? You can promote Click Funnels as an affiliate as well. 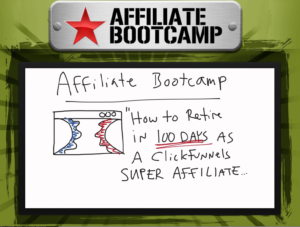 Click Funnels has an amazing $997 training course – their Affiliate BootCamp – which you can access for free and which helps to explain how you can become a successful affiliate marketer and in particular how you can market Clickfunnels. Just click on this link or on the image below to start promoting Click Funnels. Links on this page are affiliate links and I will benefit if you decide to join the programmes I am recommending – Thank you.